It seems likely that Hillary Clinton will be the Democratic Party’s nominee for the upcoming American Presidential elections, but Bernie Sanders is certainly giving her a run for her money. Mr. Sanders is a staunch socialist which in modern America is surely an enigma given the US’s decades-long tirade against communism. Surprisingly, the vast majority of Mr. Sanders advocates are well-educated young people which may just mean they’re not that well-schooled at all. In another surprise move, another dedicated socialist, Jeremy Corbyn, has taken control of the British Labour Party. Meanwhile America’s Republican establishment are looking askance at frontrunner Donald Trump and questioning his conservative credentials. Although a capitalist of the first order himself, Trump nonetheless abhors America’s free-trade deals which he says are destroying the economy. He is determined to rewrite the rule book to make sure offshore companies return to the land of their birth. The Trans-Pacific Partnership Agreement will certainly not be signed on his watch, he advises. That so many of the rank and file are questioning the perceived wisdom of the way the free world has operated is a worry for those who have been running it for so long. The Republicans, who have had control of the American Senate for some time, have obviously lost favour with the middle-class who are finding jobs hard to access and wages static. And so in defiance of the horrendous historical evidence many of these people are prepared to risk an alternative style of governance. And yet in spite of its inherent faults, the surest way out of destitution is the free market. Wealth is the result of economic liberty, while poverty comes from economic repression. Free market capitalism may not be prefect, and at times not fair to everyone, but it does work. 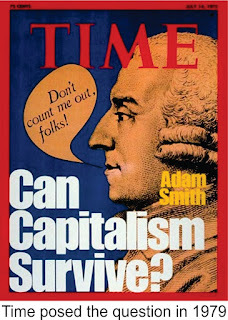 Capitalism was best explained in Adam Smith’s tome The Wealth of Nations first published in 1776. He wrote about a system of markets, prices, profit and private property ownership that created a natural order of how people could live in relative comfort and prosperity. 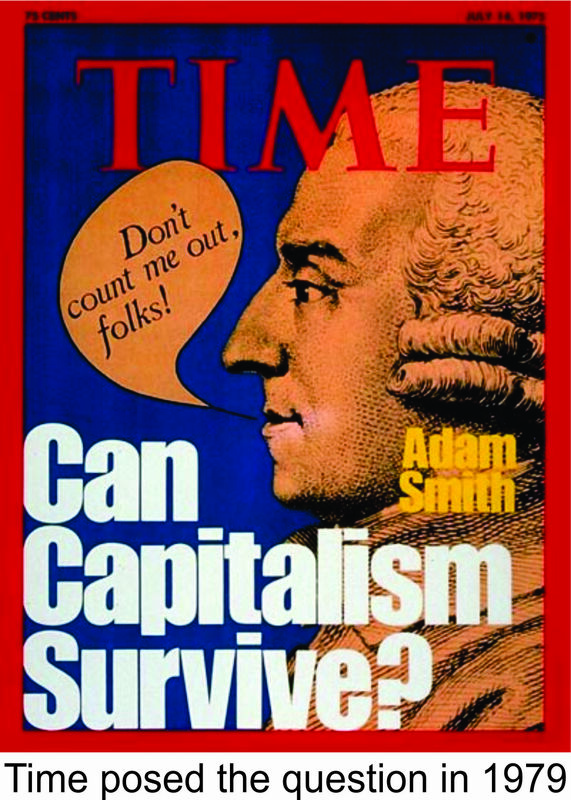 Capitalism has been portrayed as the worst economic system apart from all the alternatives and it does have has a tendency to implode from time to time. The 1930’s depression being the worst example, but also in 1973 when oil prices skyrocketed due to wars in the Middle East and then again in 1987 when floating currencies caused the sharemarket to shed millions of investor dollars. Meanwhile we are still working our way out of the trials and tribulations of the 2008 Global Financial Crisis and although the ship has steadied there is still potentially some rough water ahead. And Messrs. Sanders, Corbyn and Trump all have the capacity to whip up a storm that might very well sink us all.